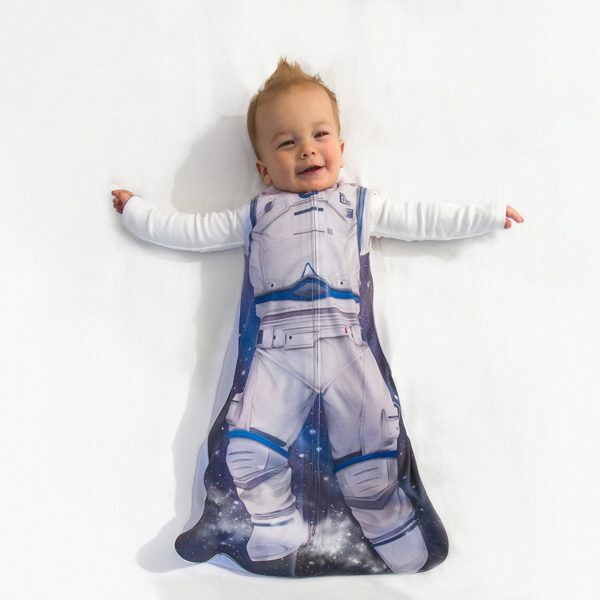 If seeing a baby snoozily embodying an astronaut, mermaid or princess is on your bucket list, then prepare to tick those to-do’s off, my friend! The kind folk at Amazon store Living Lullaby Designs are the geniuses behind these funny suits and it’s fair to say they’re bringing the chortles to these sometimes stressful days leading up to Christmas. Granted they may/may not comply to Australian safety standards making them potentially unsuitable for sleepy LOCAL babies – but there is still nothing to stop you from scrolling down and having a good old-fashioned snort at how cute these babies look. Go. For. Your. Life! In fact, it’s also fair to say that many adults would fancy themselves sick in a suit like this, keen to zip up and make that transformation from grumpy, festively-challenged grown-up to astronaut or mythical, sneaky beauty of the sea. In fact, we vote for some other creative designs too. We’re thinking ballerina, tattooed sailer, Olympic swimmer (in Speedos, of course!) and bee keeper, for starters. We’re sure you have some rad ideas too. 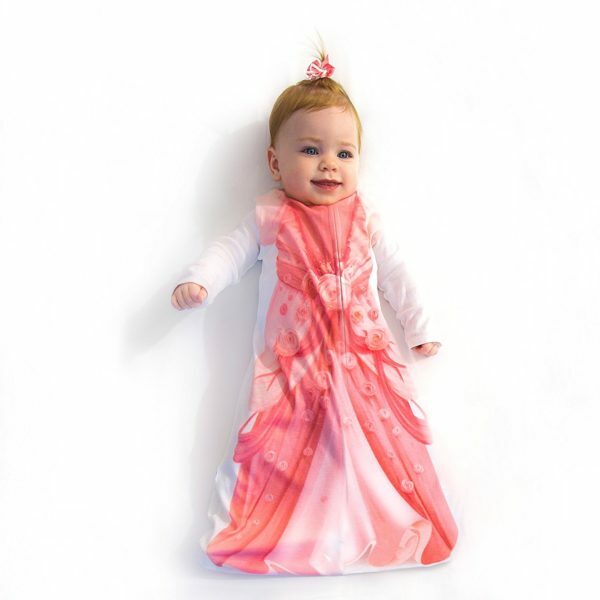 Living Lullaby Designs ultra cute and funny Lullaby Sacks retail for $29 US on Amazon. 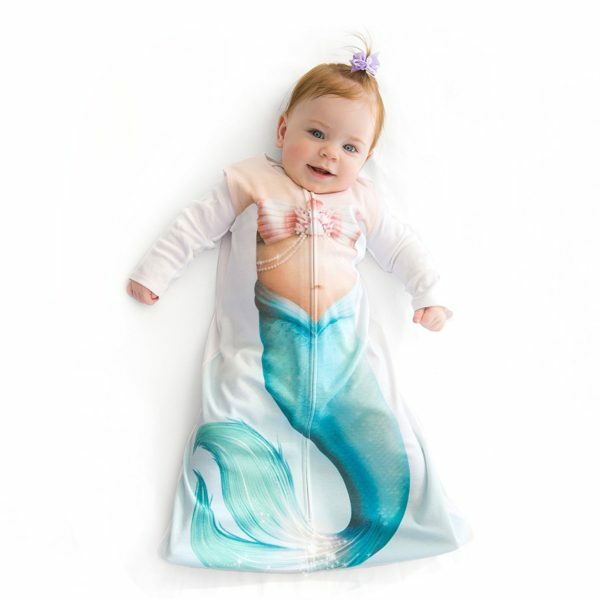 If you are keen to snap one up for a similar photo opportunity with your little one, they don’t actually ship to Australia BUT you can secure a US shipping address which will forward your parcel on via Australia Post’s ShopMate service. So you can definitely snap one up for your favourite baby, if you are so compelled. Once again – note that these suits may not comply with optimal safety standards and safe sleeping recommendations. This suit might be ideal for a quick photo opportunity though. Safety first, folks! A big thanks for bringing the chortles and the cuteness to the gang at Living Lullaby Designs!